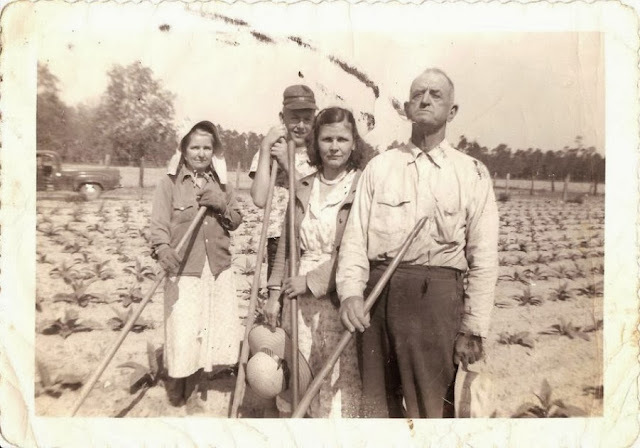 Someone from Screven, Georgia sent my mom this picture of my grandmother and uncle on the left, working on the farm where they lived. She worked hard. I love that she was wearing a sunbonnet! 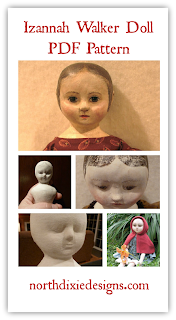 Tuesday is the beginning of 31 Days of Doll Making. I will be kicking off the fun by offering my Izannah Walker Inspired pattern for $20 until midnight on October 1st. This is over 30% off the regular selling price! Also, I have a project I am working on which I will share later in the week. Be ready to join in the fun! Screven is located. Are you from there? Love your dolls and, though I haven't blogged in awhile, I am anxious to follow you in October. Thanks, Deanna! I think finishing some UFO's will be part of this campaign! Pamela, I grew up from 9-17 in Jesup, Georgia. My mom grew up in Screven.